Where you start is nowhere near where you’re going to end up. 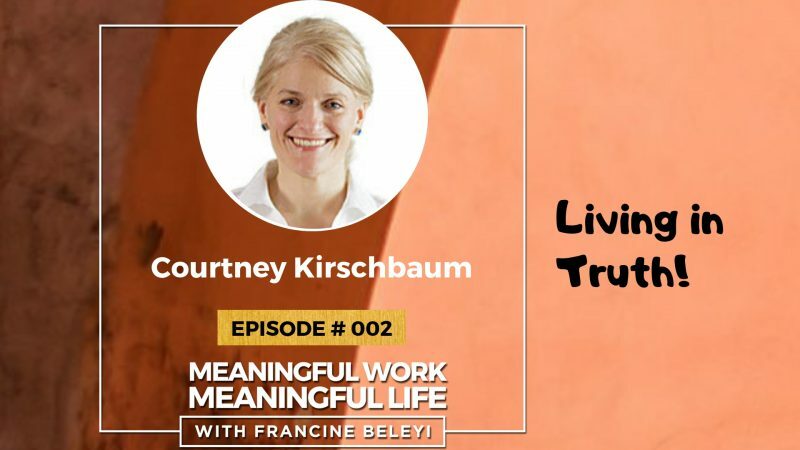 I have the great pleasure to start the Meaningful Work, Meaningful Life podcast with Courtney Kirschbaum, Founder and CEO of Job Hunt School, award-winning keynote and TEDx Speaker. Courtney is on a mission to build a movement of entrepreneurial job seekers who know their value and want to find their place. She wants to be remembered as a liberator who won’t judge others just because they decide to take their freedom. We are trapped by preconceived notions, by ignorance, by shame and it is so easy to provide knowledge and encouragement and liberate a person she says. Her greatest power is to believe in people before they believe in themselves. You really don’t want to miss the gems shared by Courtney whether you are a job seeker or just looking to do a more meaningful work. Want to recommend guests to this show? Please suggest amazing people you’d like to hear from, and I’ll do my best to interview them. I have a special gift I’d like to give you to celebrate the launch of this new podcast. 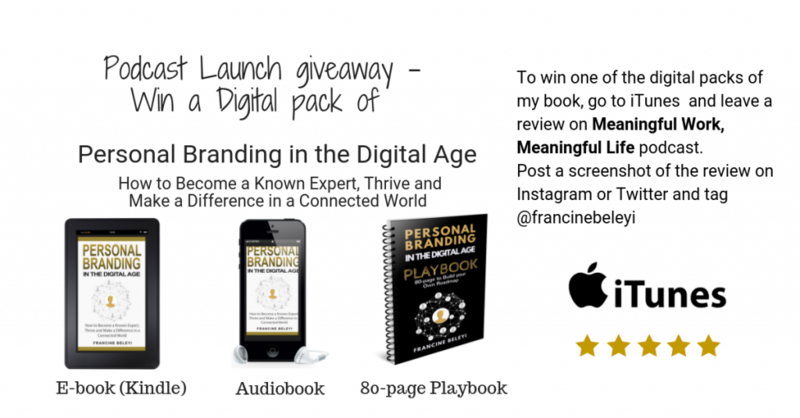 I am giving away ‘digital packs’ of my book Personal Branding in the digital age to quick start your success in 2019. It includes: A eBook copy, an audiobook copy and an editable Playbook to create your personal brand roadmap. If you like what you’ve heard, head over to iTunes, SoundCloud, or the app where you are listening this podcast to leave me a 5-star review to show your support and appreciation. It will take you a minute, but it will mean a lot to me and help me to know that it is serving people out there.